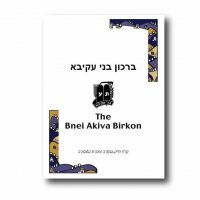 Support Bnei Akiva with the bencher project. 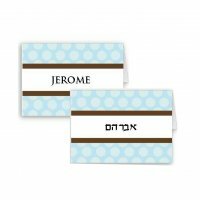 A unique touch for weddings, sheva brachot, and date nights. Also suitable for couple therapists and kallah teachers. This set of digital cupcake wrappers and toppers includes 6 pages of couple conversation starter cupcake wrappers and toppers in regular and mini sizes. This is a digital file that you may print on your own printer or via your local print shop. NOTE: This is a digital file. NO PHYSICAL ITEMS WILL BE SHIPPED Orders via the Birkat Chaverim online store will result in a downloadable file. For customized text please contact us directly. 4 Printable 8 x 11 sheets of Relationship mini cupcake wrappers. 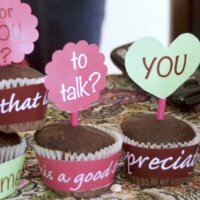 One pages of relationship cupcake toppers. The designs are both heart and circle shapes. One page of regular sized relationship cupcake wrappers. Please be aware that colors vary monitor to monitor, as well as printer to printer. To print at home print on cardstock or photo paper. Set printing to the highest / best quality. Make sure scaling is deselected or the images will be made to shrink or enlarge. Set printer to Borderless printing. Permission to use this design is granted to the buyer for personal use only. Commercial use, file sharing, & reselling the design is not permitted.